Pastor LaFleur describes what has been done for a needy family of 8 as the rainy season approaches. Also, he talks about the hope to build a small home for the same family. An artist from Antigua named J.M. produced this song as a response to the earthquake. 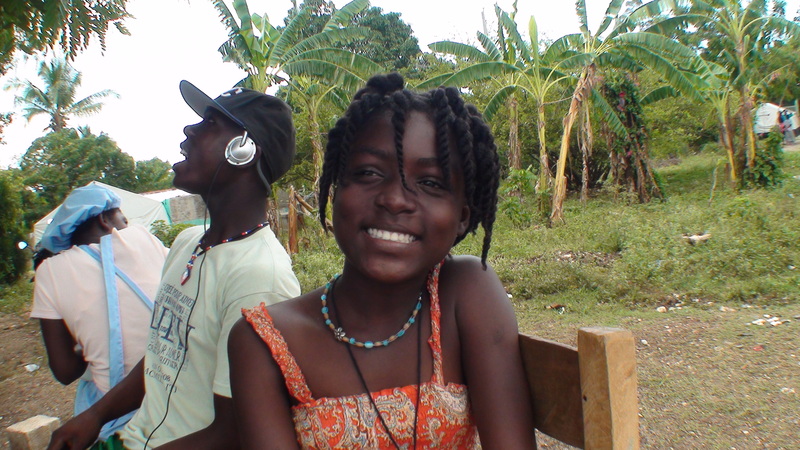 Here is one of many videos to come from the trip to Jacmel. My friends Darren Tyler and David Whetstone talk about the impact of clean water to Haiti and also coming to Togo, West Africa. Today I woke up, walked into my office and started working through my pile of email. By 8:30, there was a rumbly in my tumbly, to borrow from Mr. Pooh. But, since I was busy working it was pretty easy to ignore. In short order, though, I started to feel a little dizzy and the space between my ears was becoming fuzzy. I need to eat, I told myself. NEED . . . TO . . . EAT. While it would be very Christian-sounding to say that I forsook (<-fun word) my earthly needs to become more holy, I can’t. By 10, I had already eaten a bowl of cereal, a yogurt and a granola bar. But what if I didn’t have access to something to eat? What would I do without the Cap’n? I’m not trying to be glib. Breaking my fast each day is more than a ritual, it’s necessary to adequately focus my mind and to be productive, to function, even. The feeding program at Restoration Ministries in Jacmel feeds around 150 children one meal each day. Around 1 o’clock, they start pouring out of the woodwork, some knowing that their meal for the day was coming and others hoping for scraps. These meals are utilitarian and are designed to provide the most nutrition and protein for the smallest amount of money. My friend Sencia (right) offered me a bite one day and it wasn’t too bad. 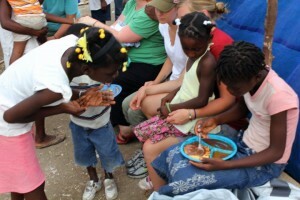 With all of the kids sitting at the tables with their plate in front of them, there was a feeling of satisfaction that so many were being fed. But at the same time, sadness for those who were not part of the program. Because there is only food for a fixed number of children, the reality of poverty is that there will always be those on the outside looking in. The aha moment for me was not really that kids were being fed or that others were hungry. The aha came when many of those who had plate in front of them ate only part, then walked remaining food outside to give to somebody who didn’t have access to the program. It struck me that these very young people knew something that I fail to recognize too often. In my relative wealth I am like a child in the ‘program’ and it is my responsibility as a human being and as a Christian to care for those in the periphery. 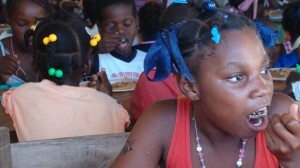 If you would like to make a difference in a child in Jacmel and bring them in from the outside, check out Restore Haiti. I have seen first-hand the work they are doing, and it is good. Our first full day of filming was great. I was able to spend more time with some kids, playing, talking and trying to encourage them. My biggest regret on previous trips has been that I have spent too much hiding behind the camera lens and not nearly enough loving on children. 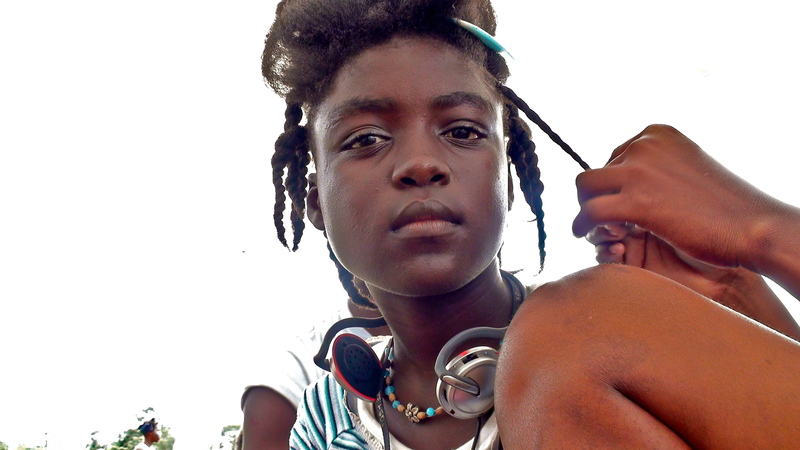 Wendell, 13, is incredibly smart with an edge of sarcasm that endeared me to her from the start. She is the child of an unwed mother who made the decision to keep her baby instead of having an abortion. Pastor LaFleur used his own money and helped her mother get an apartment. He helped her care for her child and became her godfather. Now, Wendell lives in Port Au Prince where she attends school. It’s important to note that all schools in Haiti are private. If you want your child to attend school, you must pay to send them there. Combine the fact that many of the schools were destroyed in the earthquake with an estimated 90% unemployment rate and you erase any option that the majority of children have. 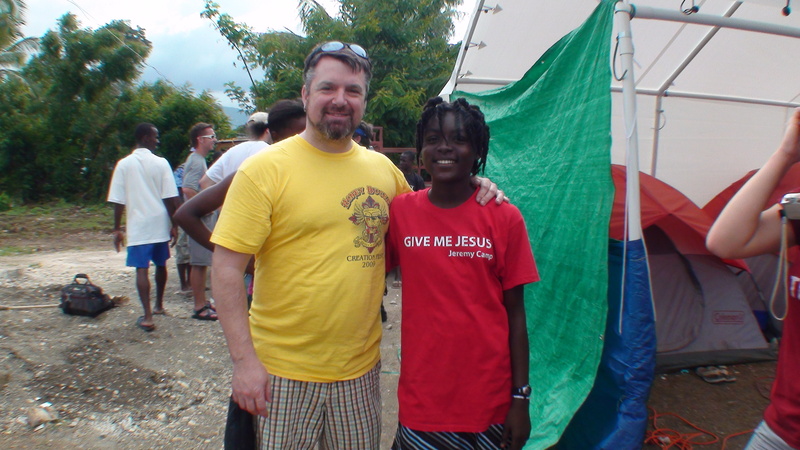 Conduit Mission and Restoration Ministries, through the charitable donation of people around the United States, they are able to pay the school fees for nearly 150 children. It’s barely a scratch on the nation as a whole, but it makes all the difference to that one child. I can’t imagine not being able to afford to send my children to school. 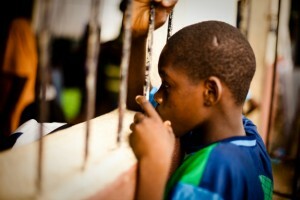 In Haiti, education is one of the cornerstones on which the foundation of a New Haiti will be built. Please check out restorehaiti.com and considering partnering with them. Wendell, thank-you for letting me peek into your life. I am a better person because I know you.